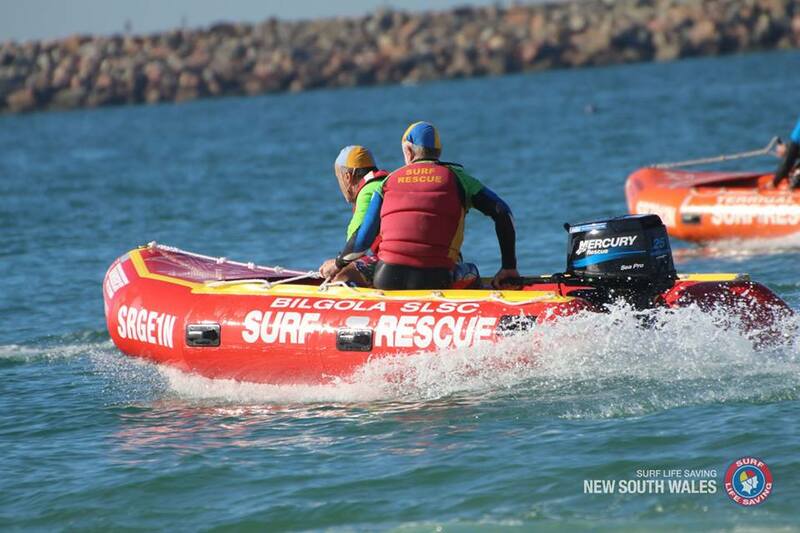 It was an exciting start to the 2018 NSW Sharkskin IRB Premiership season at Stockton Beach on the weekend with the largest ever first-round of entries kicking off the campaign. 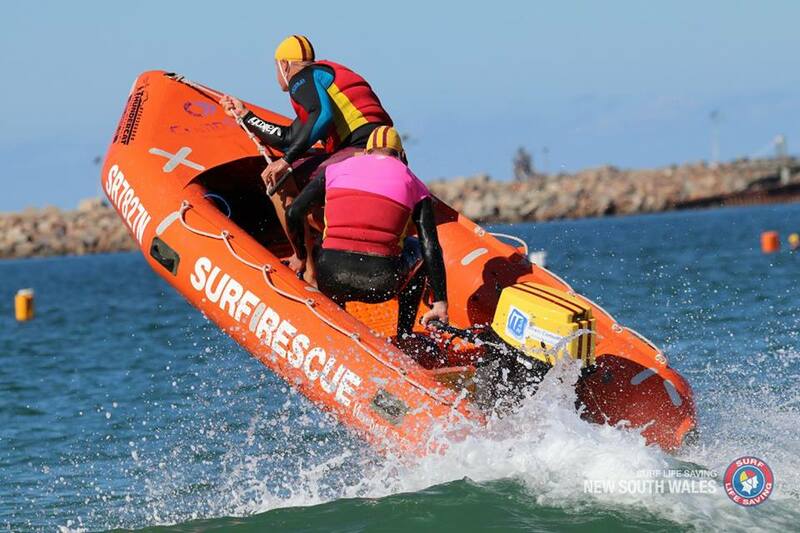 Over 300 surf lifesavers representing 24 clubs (including three debutantes) came together at the two-day event cheered on by a crowd of supporters who were there to watch the premier event of its type in the state. 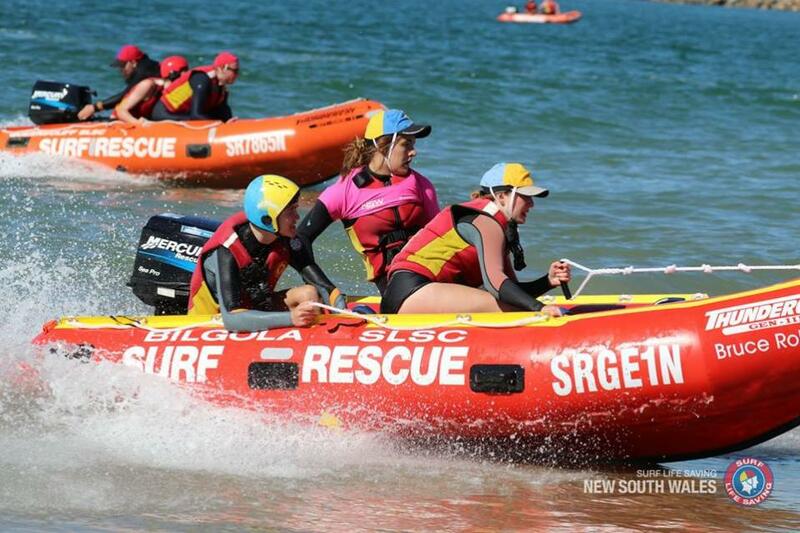 Boosted by a strong team who are rapidly gaining experience in this high octane thrilling sport, Caves Beach SLSC was the dominant force of the competition to be the early front-runners of the overall championships finishing on 125 points. The 2017 Champions Kiama Downs did enough to finish in second place with the powerful South Coast club showing it had lost none of its talent despite a turnover in personnel, while Terrigal SLSC rounded out the top three. A host of rival clubs including North Cronulla, South Maroubra and Woonona all picked up crucial points and the standard of skills on display indicated that a closely fought competition looms for the remainder of the series. Honours were shared among the clubs in most of the events with the Rookie and Relay races providing a particular highlight. 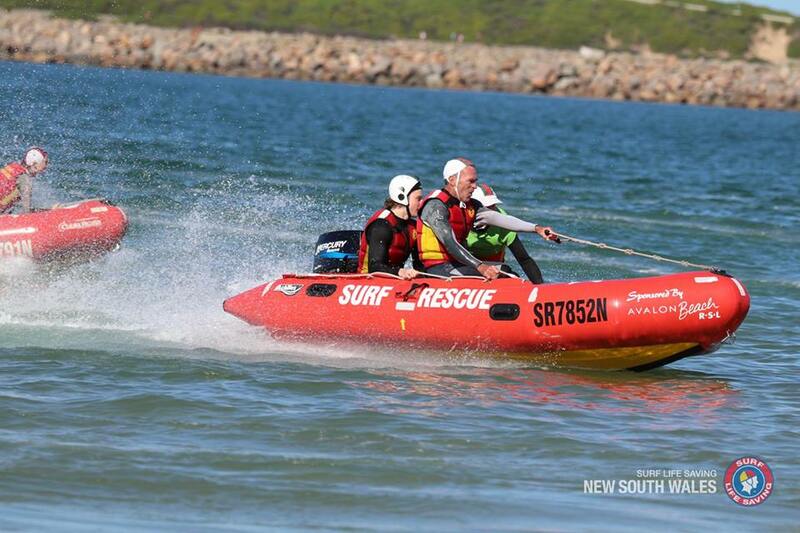 Queenscliff finished ahead of Coogee and Newcastle in the Rookie Rescue event, with the hunter club taking full advantage of their local knowledge in the Mass Rescue Race finishing in first and third position. 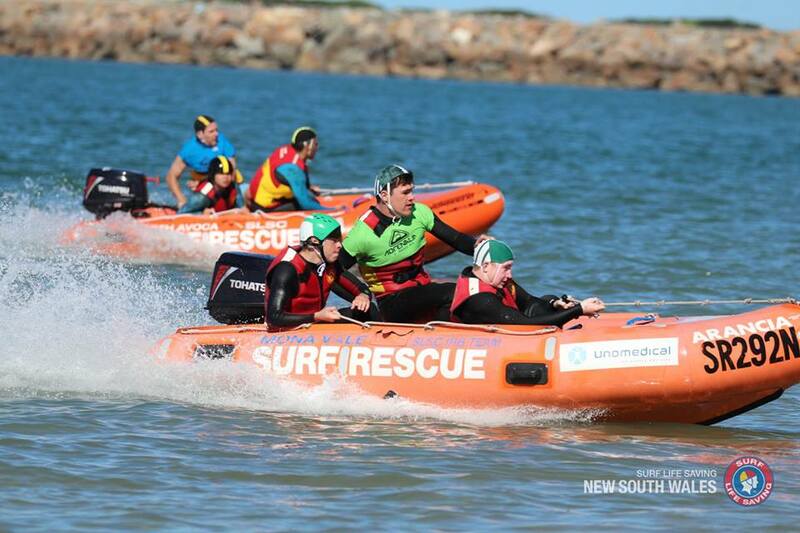 In the final event of the program, a highly competitive IRB Relay, the teams from Caves Beach, North Cronulla and Thirroul finished on the podium after a strong performance. 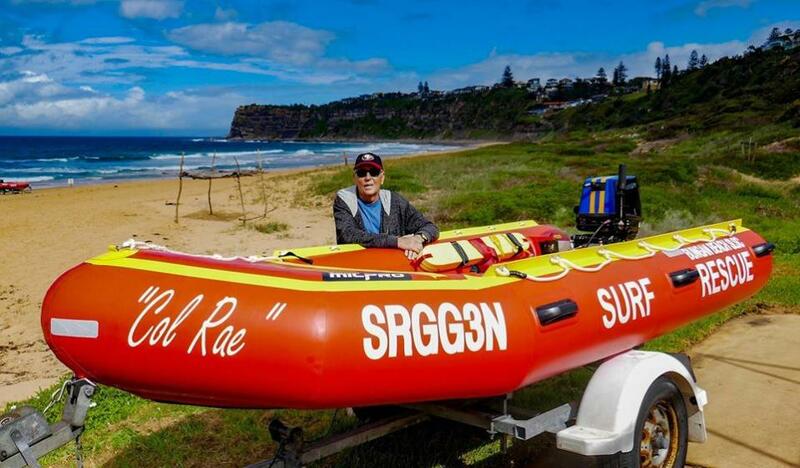 Surf Life Saving NSW Sports Manager, Rob Pidgeon says competitors were thrilled to be back on the beach for the IRB racing season. “It was great to get the season underway last weekend in the Hunter. The level of competition was very high particularly with a host of new clubs and competitors,” Mr Pidgeon said. 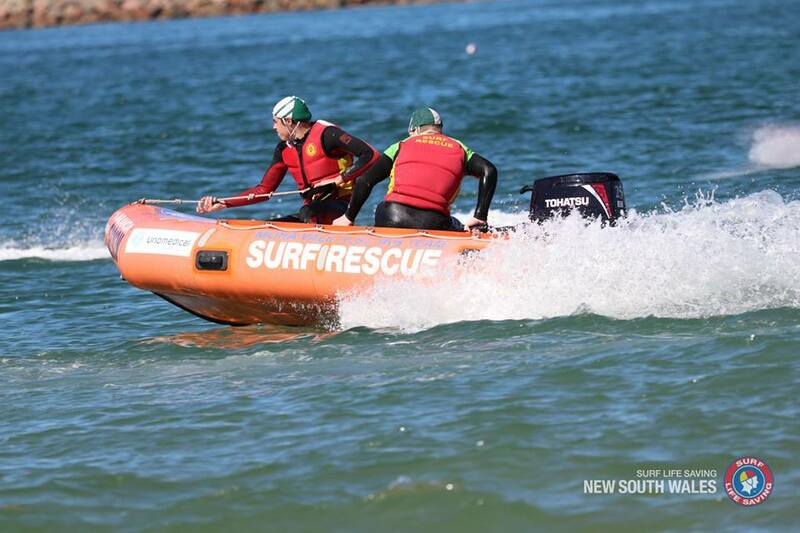 The second round of the NSW Sharkskin IRB Premiership Series will be hosted by The Lakes SLSC on Saturday 19 and Sunday 20 May, with Rounds 3 and 4 to be hosted by Umina and Caves Beach respectively. Today we christened our brand new IRB. We named the boat after our Life member Col Rae, who can be seen here doing the honours of cracking the champagne on the boat. Col has been an incredible member of Bungan Beach Surf Life Saving Club and has helped train many generations of bronze candidates, been a board member for numerous years and has helped the club develop into what it is today. Thank you Col for your many years of service to the club.